Offering both high and low pressure washing for your home and business needs, Nashua Housekeepers strive to serve you with quality work and great customer service. Many stains and grime on the exterior of you building requires more than the average owner can muster with a mop and soap. Here we turn to the professionals and their use of pressure washers to give your house the deep cleaning it deserves. We offer this service as a standalone, cleaning the siding on your building. We also offer this for other sections of the home including your roof, stairs, any stone sections you may have, driveways, concrete, and most other sections by request. 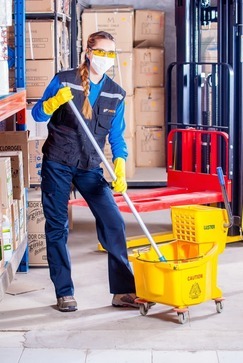 ​We know how much pressure your cleaning job requires and we are sure not to damage anything in the process. Our professionals have years of experience in pressure washing and have the know how to chose the right washer every single time. ​Come to us for your pressure washing service needs and see why we are the best pressure washers near you today! If you're looking for Pressure Washing near Nashua NH look no further than us! Our professional staff and low prices will have your home looking clean in no time!